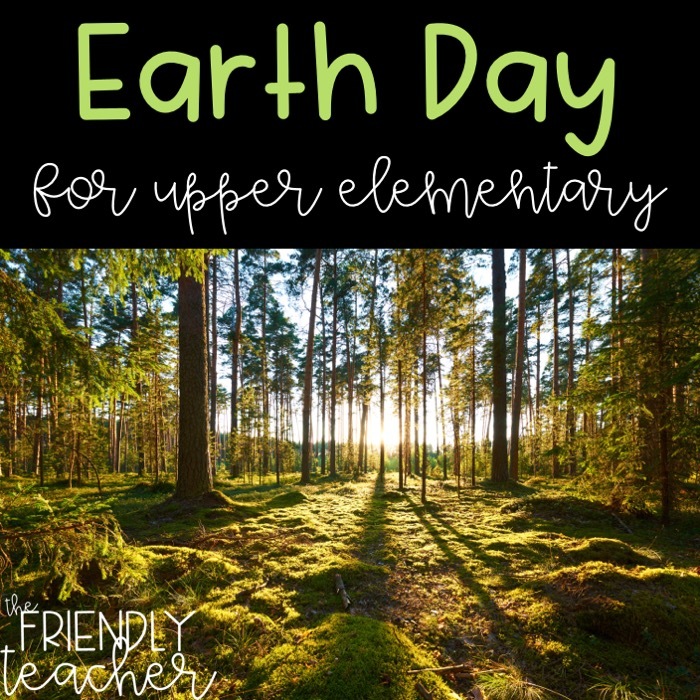 I love celebrating Earth Day in my upper elementary classroom. This always seems to be a favorite holiday or theme for my students. They are at the age where they are really getting into learning about the earth and how to protect it! This is also the time of the year where we are preparing for state testing. So, all of the activities we do need to be rigorous, yet very engaging! My Earth Day activities look like this! They also answer all their questions on recycled paper! 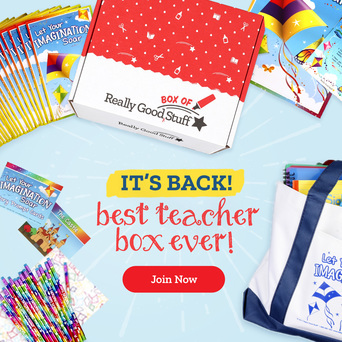 So, get rid of your scrap paper, learn about saving the earth, and let the kids have fun! After each reading challenge they also complete an EARTH SAVING challenge! Each challenge has one fun and engaging challenge that helps to make your school more eco friendly! The students LOVE this part! Each challenge earns them a badge. Once they earn all the badges they become earth saving SUPERHEROES! My students get to wear a cape the rest of the day and we celebrate all of their hard work! Check out each challenge in the video below! Then, grab the challenge pack here! We read one of my favorite stories, The Great Kapok Tree! 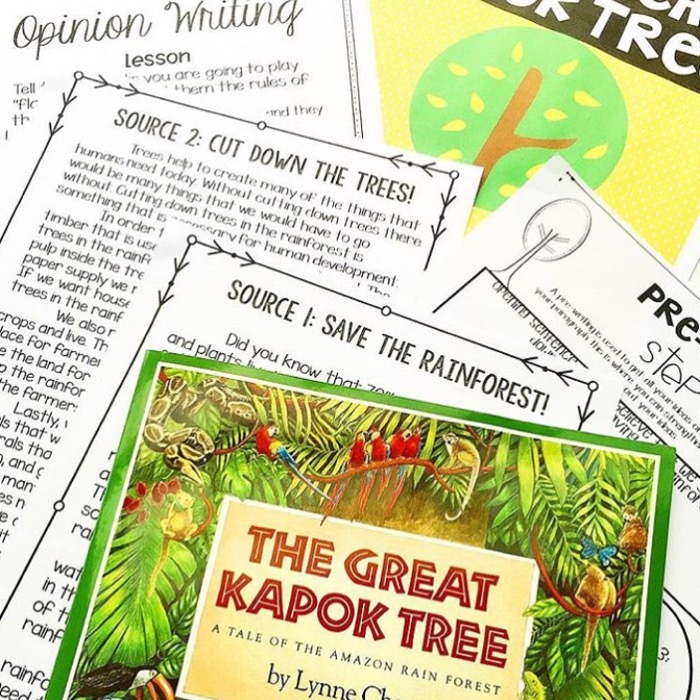 Then, we read sources and do research on why you should or should not cut down the rainforest trees. My students form their own opinion, learn about adding text evidence to writing, and then create an essay explaining their opinion with proof from their sources. Check out the writing here! You HAVE to read The Lorax during Earth Day. We work on Point of View, Retelling, and Visualziation while reading The Lorax. I read the story with the class. Then, the students have to write a play that retells the story. I typically give each group a point of view to work on. So, someone would write in the point of view of the Lorax and someone of Ted, etc. They get to act out the play for the whole class and we compare and contrast the different points of view. We usually watch the movie as a celebration too and they can compare the movie to the book and their plays! This activity is GREAT because there is no prep involved and the kids really get into it! 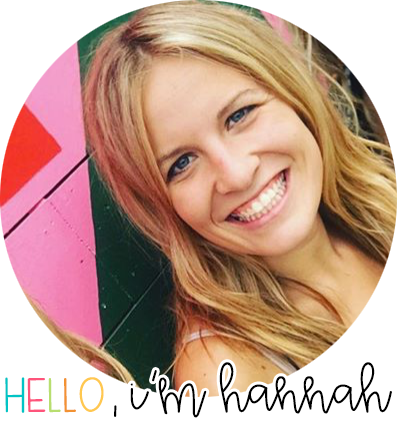 Choose a book out of the custom collection found here! 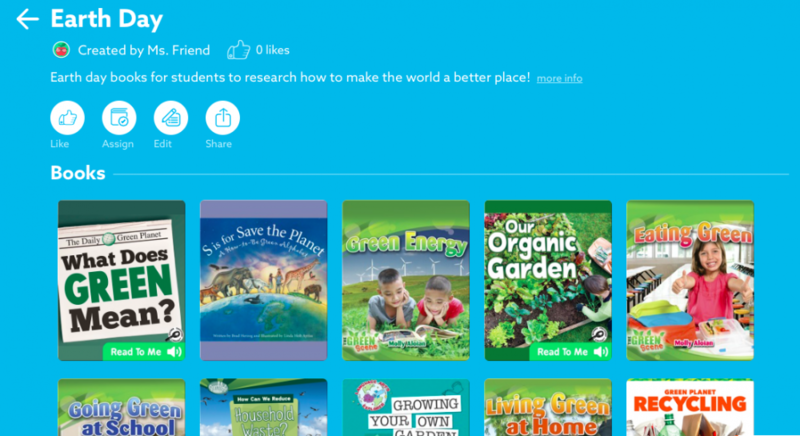 This custom collection has many books that are easy to be read in one class period or less. This way your students have time to finish the entire project. Read the book with their group and pull out the important parts. 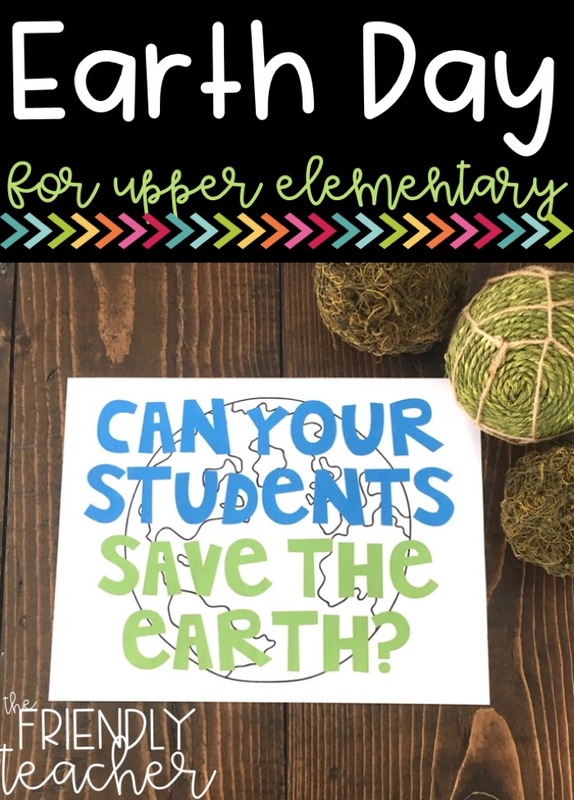 Create a poster that explains how they learned to protect the earth on recycled paper. Present it to the other students. The audience then takes notes from each presentation and writes an essay on how they can protect the earth. Again, no prep at all, but engaging and rigorous! All of these activities are RIGOROUS, yet ENGAGING for students in the upper elementary classroom. They love participating in each of these activities, but they are engaged and loving it the entire time!